Our latest salon launched in August 2016. Our team offers the total Academy Salon experience with a full range of both hair and beauty treatments. Thank you for taking the time to leave your feedback. I am delighted to heat that you enjoy the salon experience and that Rhi offers you a great consultation. I’ll pass your comments on to the team. 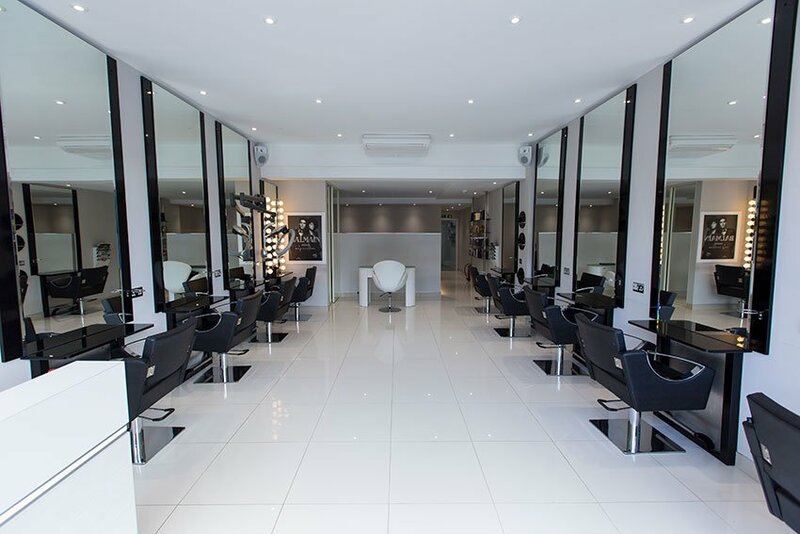 We look forward to welcoming you back to Academy Salons Weybridge soon. Great service Friendly professional staff ???? Thank you for taking the time to leave your feedback. I am pleased to hear you had a good salon experience and that Lilly looked after your needs. I’ll be sure to pass your comments on to the team. Great cut and colour as usual, really attentive stylists and listen to what you want - thanks! Thank you for taking the time to leave your feedback. I am pleased to hear you love your hair colour & cut created by Lilly. Thank you for taking the time to leave your feedback. I am pleased to hear you had a good salon experience and that you liked your hair styled by Rhi. I’ll be sure to pass your comments on to the team. Great advice, colour and cut on my first visit. Will definitely be back! Thank you for taking the time to leave your review. I am pleased to hear you had an excellent salon experience and that you liked your hair colour & style created by Caroline. I’ll be sure to pass your comments on to the team. Lovely blow dry, lily has such a skill with hair I always enjoy my experience with Lily thank you! Thank you for taking the time to leave your feedback. I am pleased to hear you loved your blow dry by Lilly. I’ll be sure to pass your comments on to the team. Thank you for taking the time to leave your feedback. I am pleased to hear you are happy with your hair colour created by Charlotte. I’ll be sure to pass your comments on to the team. Fabulous salon..great stylist and colours. .love my hair since started going to salon .so much better would highly recommend.. Thank you for taking the time to leave your feedback. I am pleased to hear you love your hair since seeing Charlotte and that you enjoy the salon experience. I’ll be sure to pass your comments on to the team. I am pleased to hear you enjoyed your hair wash and liked your blow dry with Charlotte. I’ll be sure to pass your comments on to the team. It was a nice first time visit. Welcome and sat down with a smile. Professional service and I am very please with the result. Thank you! Thank you so much for taking the time to leave your feedback. I am pleased to hear you enjoyed your first visit with Lilly and that you had a good salon experience. I’ll be sure to pass your comments on to the team. Biba did a wonderful job. Taking real good care of my nails that were so damaged. They look fabulous. Thank you so much and look forward to my next appointment. Thank you for taking the time to leave your feedback. I am happy to hear you enjoyed your Gel Manicure with Biba. I’ll be sure to pass your comments on to the team. Thank you so much for taking the time to leave your feedback. I am pleased to hear you love your new hair colour created by Rhi and that you had a good salon experience. I’ll be sure to pass your comments on to the team. Always enjoy getting my hair done here! Thank you for taking the time to leave your feedback. I am pleased to hear that you continue to enjoy the salon experience and that you are happy with Charlotte's colour and style technic. I’ll be sure to pass your comments on to the team. Lily always does a fantastic job. The whole experience is great. Thank you for taking the time to leave your feedback. I am pleased to hear you had a good salon experience and that Lilly continues to give you a good hair cut. I’ll be sure to pass your comments on to the team. Thank you for taking the time to leave your review. I am pleased to hear you had a good salon experience and that Lilly looked after your needs. I’ll be sure to pass your comments on to the team. Thank you for taking the time to leave your feedback. I am pleased to hear you like your haircut by Charlotte and that you had a good salon experience. I’ll be sure to pass your comments on to the team. Lovely clean salon, very professional haircut and relaxing hair wash. A hot/cold drink would’ve made my day! Thank you so much for taking the time to leave your feedback. I am pleased to hear you loved your haircut created by Rhi. I am sorry that you were not offered a drink and I will pass your comments on to the team. Thank you for taking the time to leave your feedback. I am really pleased to hear you like your new hair colour created by Charlotte. I’ll be sure to pass your comments on to the team. Such lovely and helpful girls today when I came for my hair cut! Clean and tidy salon as well. Will be coming again! Thank you very much for taking the time to leave your feedback. I am pleased to hear you had a good salon experience and that Caroline looked after your needs. I’ll be sure to pass your comments on to the team.